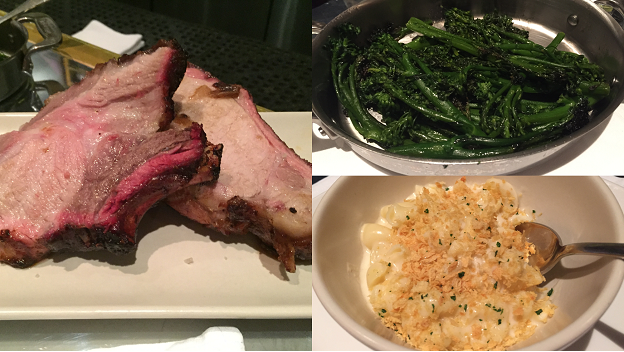 This was my first time having dinner at Ad Hoc’s bar, and it won’t be the last. For starters, choices are much more flexible at the bar than in the main room, where only one menu (with an optional middle course) is offered for everyone. A la carte dining at the bar is ideal for guests who are interested in more of a snack than a complete meal, not that we showed much restraint. The full menu was simply too mouthwatering to resist. On this Monday night, the menu is classic Ad Hoc Americana. 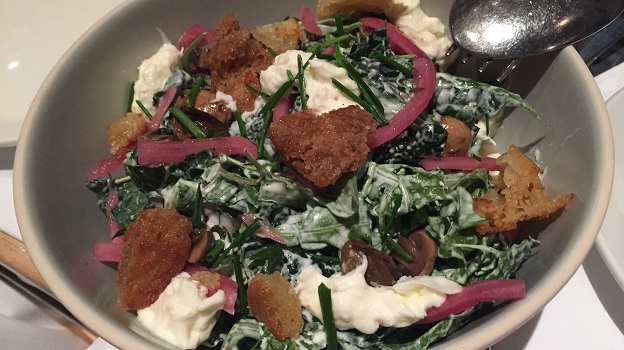 The kale and arugula salad is refreshing and absolutely delicious. I have high hopes for the smoked pork rack, but our serving is a touch overcooked and dry. The buttermilk fried chicken, an Ad Hoc classic, makes up for that, although the $25 charge per person seems disproportionately high relative to the $52 price for the regular prix-fixe menu. Cheese is taken very seriously at Ad Hoc. Our Comte is absolutely delicious. 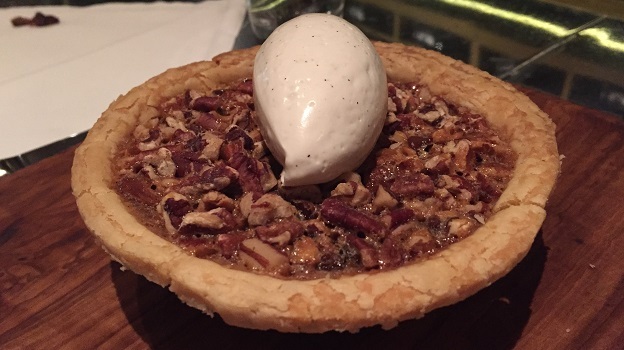 And the pecan chocolate pie? To die for. 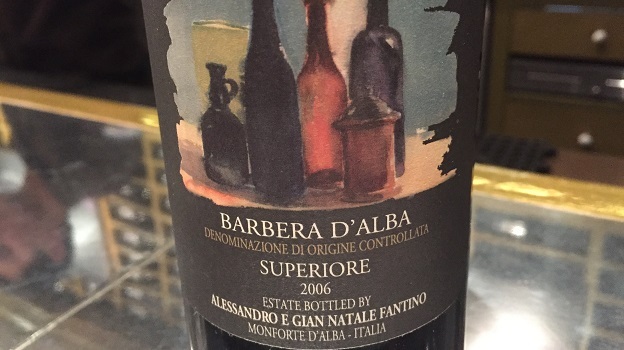 Alessandro e Gian Natale Fantino’s 2006 Barbera d’Alba Superiore is a real treat, as it is unusual to find wines with bottle age on a restaurant list, especially at this level. Time in bottle has Nebbiolo-ized, the Barbera, if you will, resulting in a gracious, aromatic wine supported by bright acidity and equally brilliant fruit. Distinctly medium in body, with the fruit starting to recede, the 2006 is not going to improve much from here. On this night, though, it is absolutely delicious to the point I can even look past Ad Hoc’s atrocious ‘wine’ tumblers. I usually bring my own glasses if I plan on drinking a more serious wine, but that is a subject for another day. On this night, after a long day of tasting and visiting the vineyards of Napa Valley, dinner at Ad Hoc hits the spot. Competition is tough in the valley, as there are so many places that offer exceptional food at all levels. Ad Hoc remains a personal favorite.